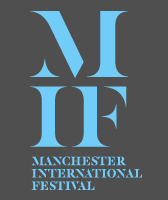 MIF is the world’s first festival of original, new work and special events and takes place biennially in Manchester. This is an exciting and unique opportunity for an Apprentice Producer to join the Festival’s Producing and Touring team to work on the development of a range of theatre, music and art projects either newly commissioned for 2015, or commencing touring. This would involve engagement in the full commissioning and production process, working with leading international artists and a range of national and international partners, providing an outstanding platform to develop a range of professional experience and skills. The Regional Apprenticeships are supported by the Eranda Foundation.